Dishes prepared by Joseph Yoon, a cheff and executive director of Brooklyn Bugs. From left to right: Crickets and soft boiled egg, chapulines crabcakes and red termites with avacado. Joseph Yoon is collaboration with Andrea Liceaga. Photo credit: Brooklyn Bugs. South American, African and certain Asian countries have a rich tradition of harvesting insects as a source of protein. According to anthropologists, Liceaga said, northern countries don’t have a strong tradition of incorporating insects into their diets. -- a trend that could date back to the most recent Ice Age. This is one way climate dictated the trajectory of entomophagy, the eating of bugs. Another contributing factor was the development of societies based around crop cultivation as opposed to scavenging. “There is evidence that insects became associated with the eating of crops, as opposed to something to be eaten, and, therefore, became considered a pest, something not to be consumed but eliminated,” Liceaga added. For Liceaga, the idea of eating insects is not foreign. She grew up in Mexico where insects have always served as a common source of protein and flavor. 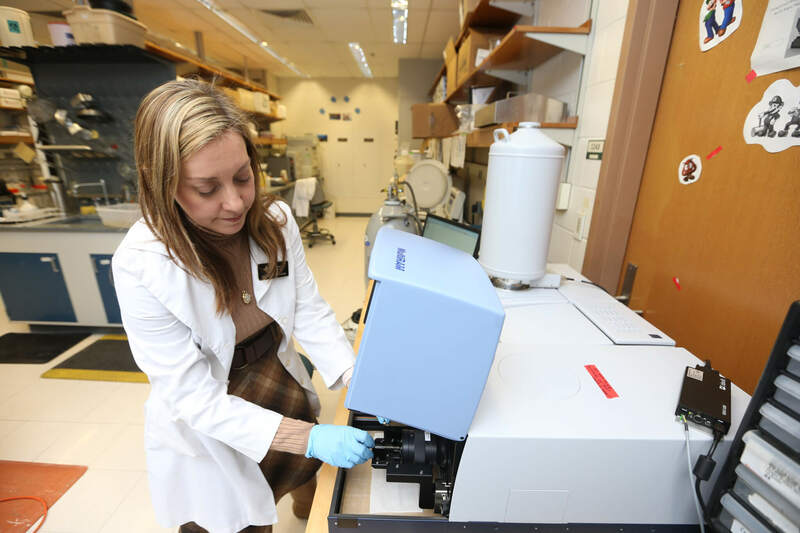 As an undergraduate and graduate student, Liceaga focused her research on developing uses for alternative proteins. She recently developed a protein from Asian Carp, an invasive fish species, and is now focusing on engineering edible insect based products. Andrea Liceaga in her laboratory. Photo credit: Tom Campbell. Gwen Pearson, outreach coordinator for the Department of Entomology, and Liceaga are hopeful that cultural barriers to edible insects can be overcome in the next five to ten years in the United States. Overcoming the stigma of entomophagy in America is no trivial matter, however, according to Liceaga. Eventually, due to climate change and projected population growth, humans may have no choice but to incorporate insects into their diets. She suggests it is beneficial to encourage acceptance of edible insects before they become a necessity or, indeed, to help stave off the more severe effects of climate change. To aid in this mission, Liceaga hosted Joseph Yoon for a Purdue 150 Ideas Festival event entitled What IF Eating Insects Saved the Plant. Yoon is a professional chef and executive director of Brooklyn Bugs, a company devoted to demonstrating edible insects are a sustainable, delicious and versatile form of protein. Joseph Yoon working with Food Science students during his visit to Purdue University. Photo credit: Tom Campbell. He travels around the country cooking dishes that incorporate insects or insect by-products, like bee pollen. In his talk, Yoon spoke about the importance of embracing insects as another ingredient- not a novelty item or something to be choked down. During his What IF lecture and demonstrations at Purdue’s annual Spring Fest, Yoon served up a variety of dishes that included ants, crickets, gusano worms and other edible insects. While Yoon is always interested in attracting the press and influencers to spread the word about edible insects, he added that changing one mind at a time is just as important. “Every single person I encounter I see as a chance to change someone’s mind about bugs. And if I change their mind, then maybe they will change their friend’s mind and that can spark a domino effect,” Yoon continued. Shifting perceptions and habits around edible insects, however, is impossible without the work of researchers like Liceaga and others, Yoon said. From educating students about the potential of alternative proteins to developing marketable products in labs, Yoon doesn’t see a future for edible insects without the buy-in of universities and industry. Liceaga and Yoon are currently collaborating on several projects. Her laboratory is developing a number of products based around alternative proteins, from crickets to chia seeds, and Yoon is helping test some of these. Developing a cricket protein powder has been a central research focus over the past couple of years for Liceaga. Creating the powder involves hydrolyzation- the breaking down of compounds through the addition of water and enzymes. Developing products like cricket protein powders and flours is a promising gateway to wide-scale adoption of insect proteins in America, Pearson explained. People often balk at the idea of eating a bug that looks like a bug. Kirsten Roe has a Master's in Entomology from Purdue and am working on a PhD in Forestry and Natural Resources for aquaculture and a Master's in Agricultural Economics. She has her own YouTube channel where she bakes and cooks using bug proteins. Another approach for encouraging wide-scale adoption of edible insects is through highlighting their diverse and unique flavor profiles, a concept Yoon feels passionately about. It’s not a chore to cook with bugs, he said, although it does require a fair amount of creativity. With over 2,000 varieties of edible insects, Yoon said he sees huge potential in terms of flavor, texture, color and anything else a chef considers when choosing ingredients. 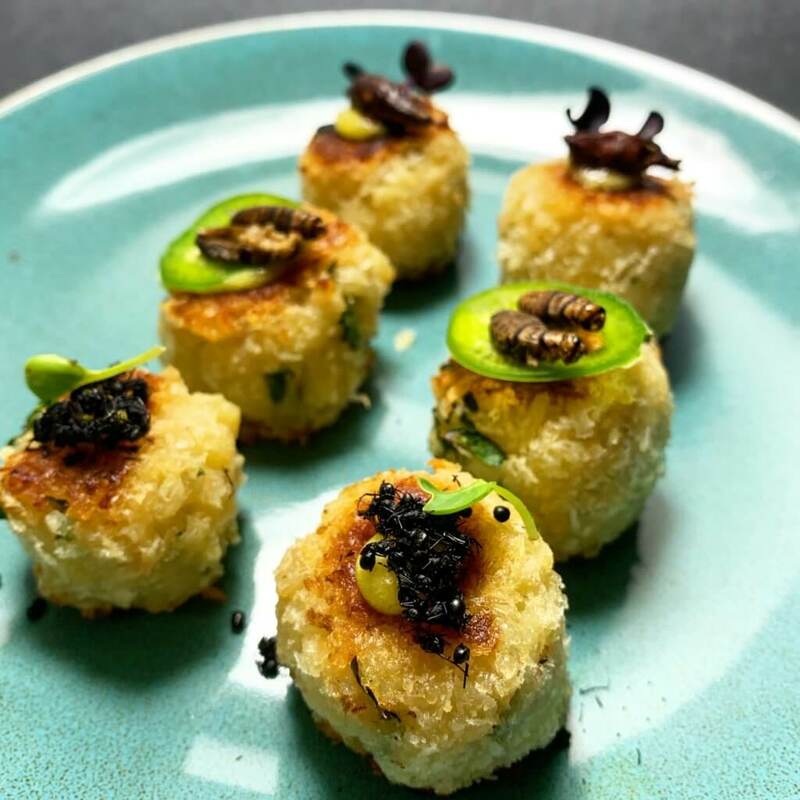 Pearson likens adoption of edible insects to the sushi trend, which only became fashionable throughout the U.S. in the past couple of decades. “Who encouraged the sushi trend? 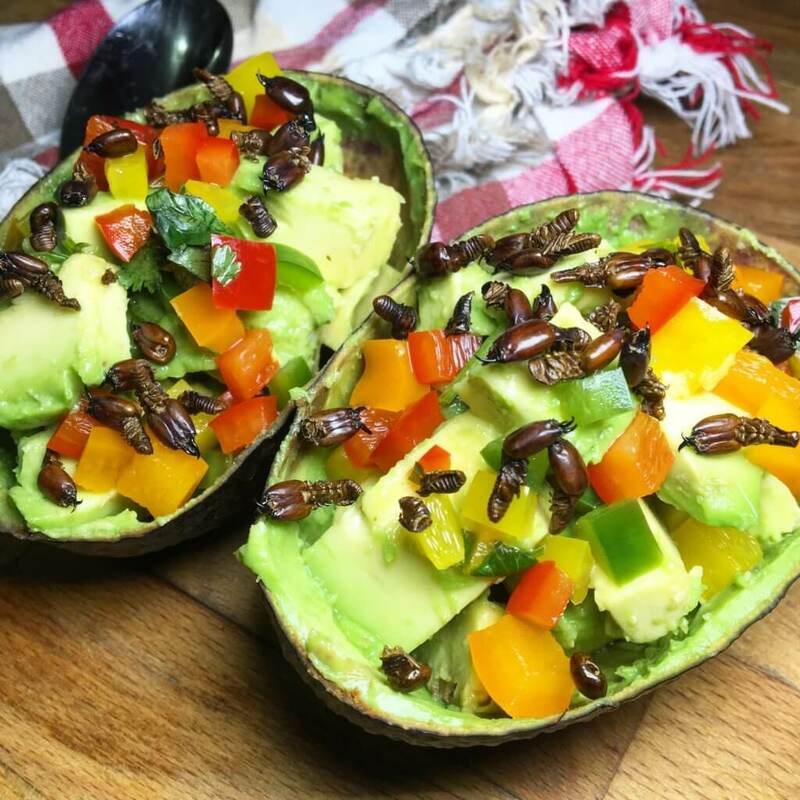 Hipsters and foodies, people who take their food seriously and are interested in expanding their palette and experiencing new flavors.” Those interested in eating insects for the sake of flavor could be key in ushering in the edible insect movement. Pearson is already a convert. 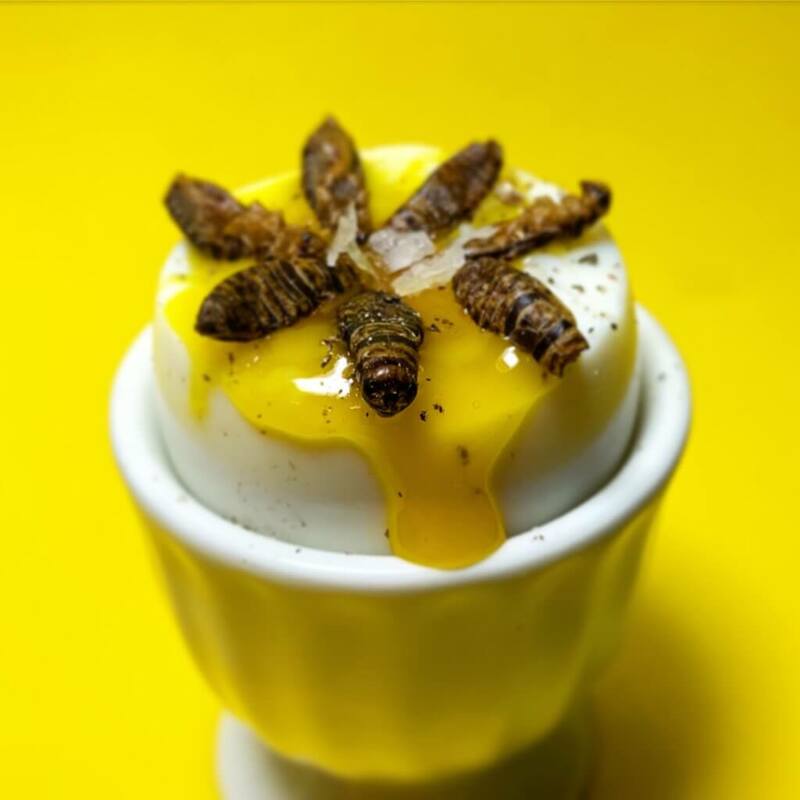 As individuals gain interest in edible insects, Liceaga thinks industry will start meeting their demand. In Europe and Canada, there are already insect farms and processing facilities producing food-grade insect protein that can be found on grocery store shelves. Liceaga believes industry will soon start exploring markets in the U.S. for certain edible insect products.